The most important part of fly fishing is to get the fly in the proper zone for the fish to bite. There are many types of fly fishing techniques used to catch fish using different flies and lines. Dry flies require a floating line with a soft landing. 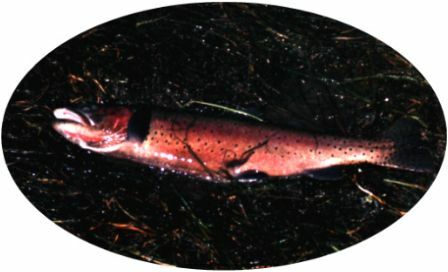 Streamer fishing in colored streams require fast sinking sink tip lines. Because of the varied techniques used in these pursuits you need to identify your quarry and the technique to capture it. Fly fishing for steelhead is usually done in the summer and fall when the river systems are at lower levels. Fall and summer steelhead will travel across the river to strike a fly. Presentations need to be more delicate not to spook fish. Leaders will be longer and lighter breaking strength. Winter run steelhead can be caught using heavy lines and spey rods (two handed fly rod). Winter time fly fishing is growing in popularity recently with the spey fishing technique. During the winter tackle becomes more important because you need hit the fish in the head to get them to bite. So you must get the big and bright fly down to the bottom zone and keep it there as long as possible. Nothing is more exciting than having a fly taken from the surface film. Dry Fly fishing and Wake fly fishing allow this to become a reality when fly fishing.